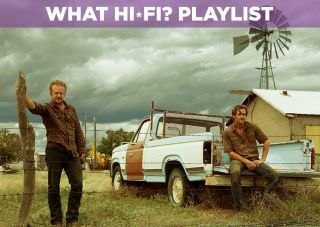 Hell or High Water – Blu-ray review | What Hi-Fi? In a cinematic landscape where the fundamental concern of modern recession-minded films such as the Wall Street franchise, The Big Short and Inside Job lies with the whys, hows or ‘who’s to blames’, Hell or High Water takes on a rather different scrutiny within its neo-Western crime drama framework – and is really rather refreshing for it. In recession-crippled West Texas, ex-con Tanner (Ben Foster) and his younger brother Toby (Chris Pine) have a score to settle with the Texas Midlands Bank in order to save their oil-rich family ranch that’s been foreclosed on. Risking everything, they go about robbing the regional bank branch by branch so they can repay the mortgage. Sure, Hell or High Water unashamedly plays up to both classic and contemporary crime western film tropes, what with its modern American frontier, high-speed car chases and gruelling shoot-outs, but filing Taylor Sheridan’s (Sicario) script as just another textbook heist thriller would hugely undermine not only its intelligibility but also its motif. Not merely some mutinous ‘anti-bank’ crusade, it's not concerned in pitching good versus evil - there’s no pointing fingers in one direction, or obvious siding with the brothers. Instead, there is a sense of wrongdoing and accountability at both ends, and a feeling that the malaise is wistfully felt by all. While dissecting the history of the American West, contemplating dying communities, and by tapping into general widespread dissatisfaction with banks (by implying they prey on people who can borrow more than they can pay back), Hell or High Water is fundamentally a nonpareil and thoughtful case study – duly credited with a BAFTA nomination for ‘Original Screenplay’. It hones in on the consequential aftermath of America’s financial crisis and its effect on economically deprived families like Tanner and Toby’s, and portrays very humanely, and in today’s society validly, the lengths to which people can go to claim what they believe to be theirs in times of turmoil. Unlike the poor souls at the robbed banks, the defiant pacing of its 100-minute running time is never held up - and making things all the more compelling are the characters and performances at the root of the story. Not only do they add considerable emotional depth, but the conflicting personalities of Foster as the unpredictable and perilously reckless brother, and Pine as the straighter, more honest of the two, simply trying to do right by his family, make their edgy journey towards a common goal all the more precarious and, for that, entertaining. It’s Jeff Bridges, however, reviving his True Grit-like twang as the Texas Ranger in pursuit of the brothers, who steals the screen and infuses most wit. Bitter about his impending retirement and looking to go out on one last hoorah (or, as he so dramatically puts it, “in a blaze of glory”), he embraces his character’s charming facetiousness and racial jibe-driven, droll dialogue with Commanche-come-Mexican partner Alberto, played by the impressively solid Gill Birmingham. Barren landscapes and deserted towns – the most razzmatazz comes from the Casino floors – make for a predominantly understated viewing experience, but while ‘minimalist’ and ‘stark’ can also describe the Nick Cave & Warren Ellis country-infused soundtrack, there’s still more to cheer from a sound perspective. A series of contemplative compositions reflects the film’s Southern roots and serious undertones, with wandering violins and ominous bass plucks alone carrying the burden of the brothers' task. Needless to say, shootouts play into the hands of a surround sound set-up, but ultimately you’ll be in want of a good centre channel to dig out the pivotal conversation.